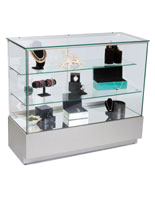 Keep your retail showcases looking updated and fresh with this LED glass store counter. 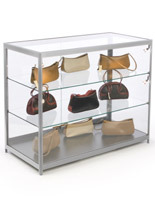 With smooth gliding doors, this display cabinet makes restocking and quick merchandise adjustments a breeze. 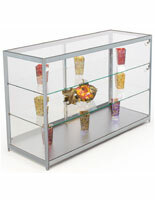 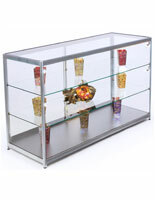 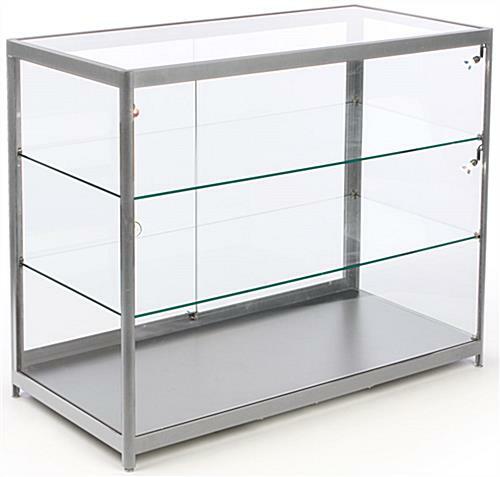 Each tempered glass store counter includes two height adjustable shelves to fit products of all shapes and sizes. 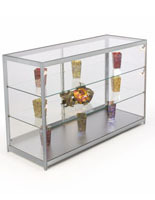 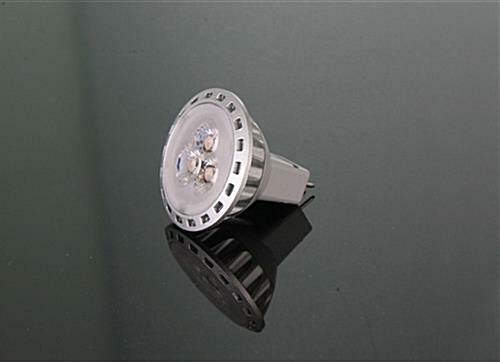 Lit with energy efficient bulbs, the retail showcases are great platforms for featuring merchandise like jewelry or electronic devices. 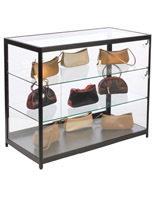 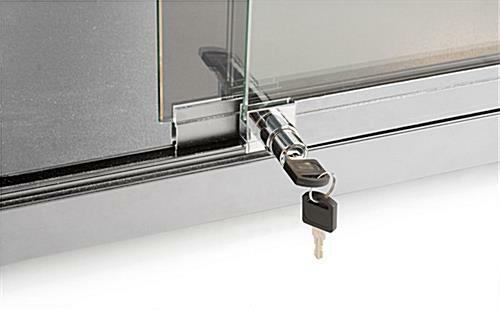 Secured with locking doors, this cabinet safeguards your high value products from theft or damage. 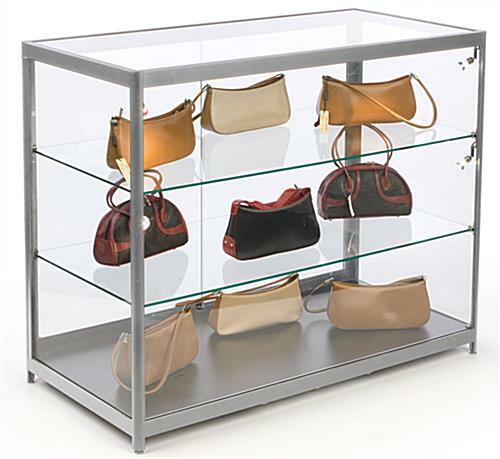 Use this glass store counter as a standalone display or paired with other compatible retail showcases for a custom look for your establishment. 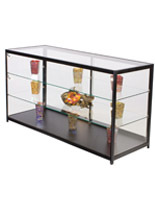 47.0" x 35.0" x 22.0"